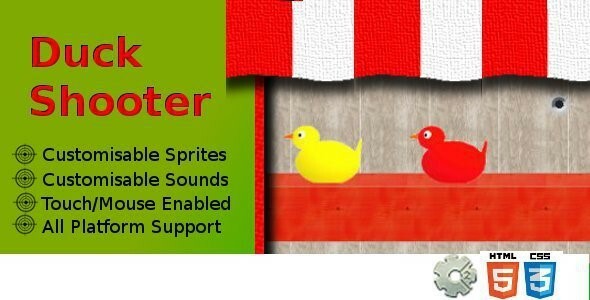 Duck Shooter - HTML5 Game - CODELISTPRO | Free Premium Scripts, Plugins, Apps Source Code. Duck Shooter is a simple endless carnival style shooting gallery game, that progressively speeds up the higher your score. As well as shooting the yellow duck to gain points you have to avoid the red ducks. When shooting the red ducks the game penalises your score.